— NASA is about one year out from calling an abort. The space agency on Thursday (April 26) showcased its boilerplate Orion capsule that will fly on Ascent Abort-2 (AA-2), a critical but brief test to validate the launch abort system intended to save astronauts' lives in the event of an in-flight anomaly with the Space Launch System (SLS) rocket. 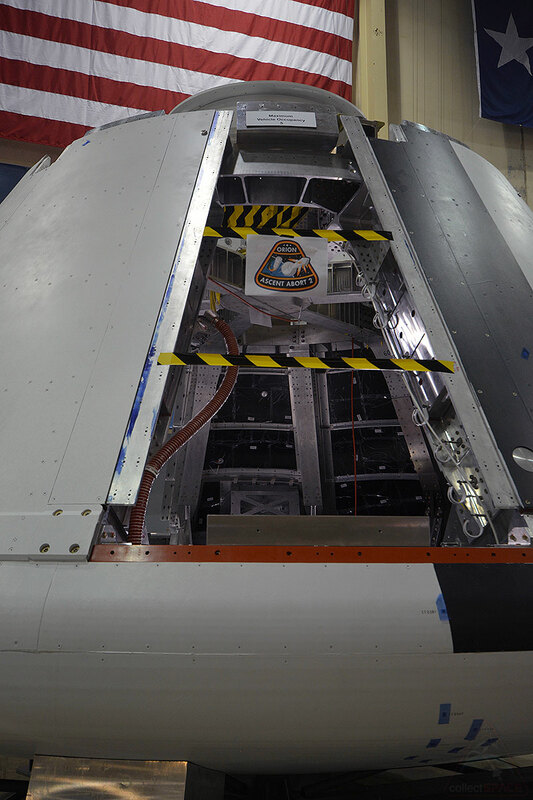 "We have two more flight tests that we will carry out before we put crew on board," said Ellen Ochoa, a former astronaut and the director of Johnson Space Center in Houston, Texas, where the AA-2 crew capsule is being outfitted for its April 2019 launch. "The first one is just about exactly a year away, it is called AA-2 and it will test the ascent abort system of the Orion spacecraft." "It is just a three minute test, but it will be an exciting three minutes," said Ochoa. 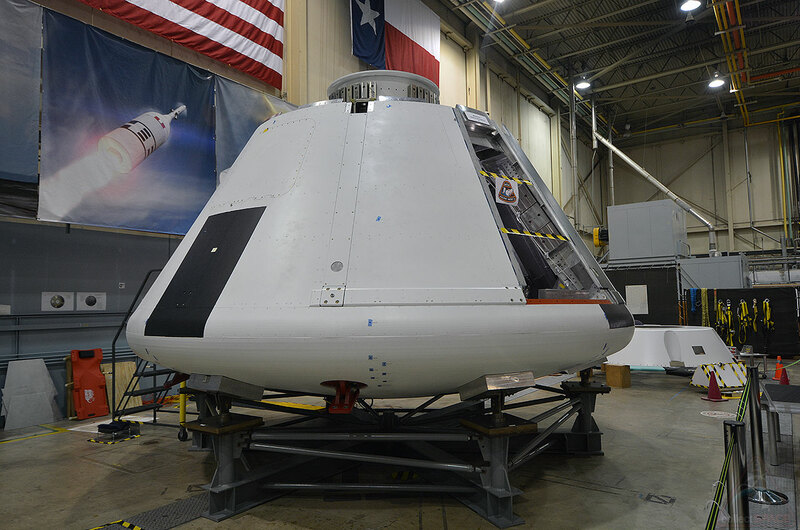 The second test, Exploration Mission-1 (EM-1), will see a complete Orion capsule fly without a crew on NASA's first SLS rocket on a journey beyond the moon and back. By comparison, AA-2 will employ a much smaller solid rocket booster for its launch vehicle and will not leave Earth's atmosphere. 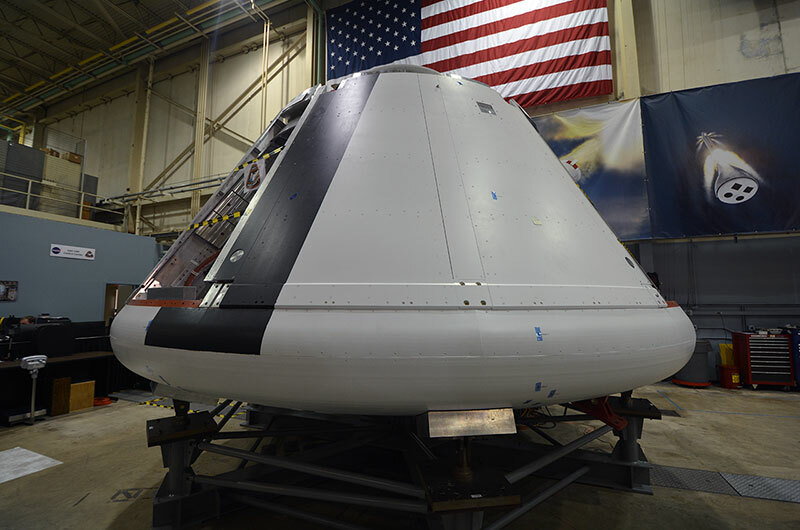 "It is a three-minute flight test, but it is really the only full-scale systems test we have before we put crew on the vehicle," said Jenny Devolites, NASA's AA-2 crew module deputy manager. "It is critical to making sure we can get crew away safely in the event of an emergency." The Orbital ATK-provided booster will launch the AA-2 boilerplate capsule from Complex 46 at the Cape Canaveral Air Force Station in Florida. 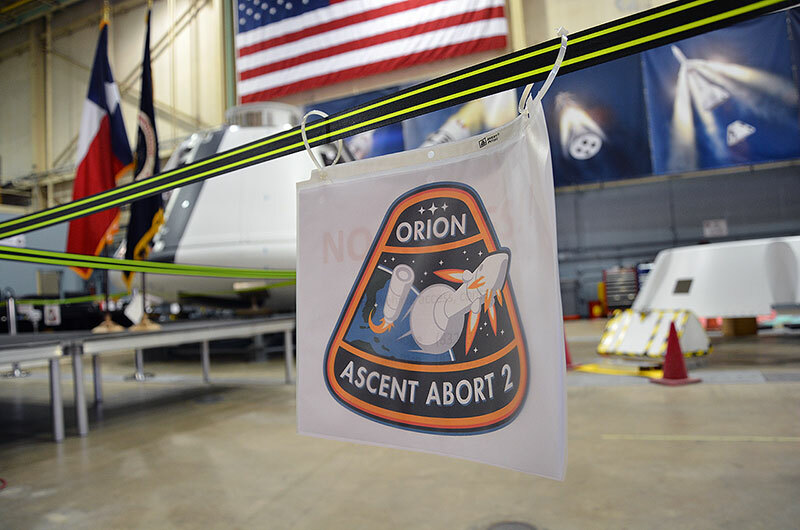 The vehicle will be topped with a production article of the Orion launch abort system (LAS), including a fairing shell and tower outfitted with abort motors. An earlier test flight of the Orion LAS, Pad Abort-1 in May 2010, used a prototype escape system ignited from the ground. About one minute into next year's AA-2 test flight at an altitude of approximately 6 miles (10 kilometers), the computers on board the Orion will command the LAS to fire, separating the vehicle from the booster and pulling it away. "When the abort motor fires, it will pull the crew module from the booster extremely fast. At 1.1 seconds after the abort, we've got got greater than five F-22 fighter jets on full afterburners in terms of thrust, so that's a lot," said Devolites. At 8 miles high (13 km), the LAS reorients the Orion module and then separates, freeing the capsule to descend to Earth. On EM-1 and subsequent missions, the Orion would then deploy parachutes to lower itself to a water landing. For AA-2, the capsule will eject data recorders for recovery before hitting the ocean hard and sinking to the seafloor. "There are no parachutes, so we won't see this again after this test," said Ochoa. The AA-2 test will help inform NASA's computer models for how the Orion should perform in flight. "It is really important we get this data so we can create the correct simulations and models so we can analyze all of the other flight conditions that we are not testing," explained Devolites. In addition to being an important flight test for the Orion program, the AA-2 mission is also providing the Johnson workforce with the rare opportunity to be hands-on with a spacecraft on premises. 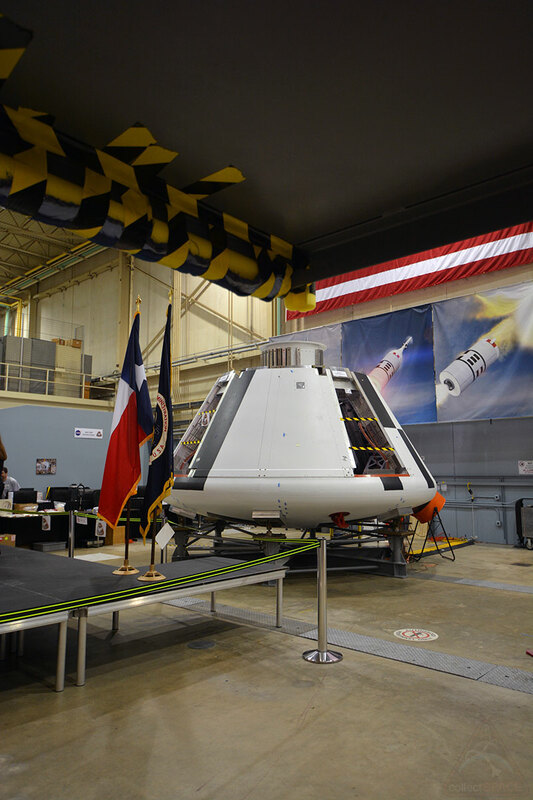 The EM-1 Orion is currently being outfitted for flight by Lockheed Martin engineers at NASA's Kennedy Space Center in Florida, as will be the case with subsequent vehicles. "We don't normally have the big pieces of flight hardware here," said Ochoa in an interview with collectSPACE. "We run the programs and we support them through all of our folks, but usually the hardware is somewhere else." "It's great work for our engineering team, being able to get hands-on with the flight hardware," she added. "They are integrating hundreds of sensors throughout the spacecraft." 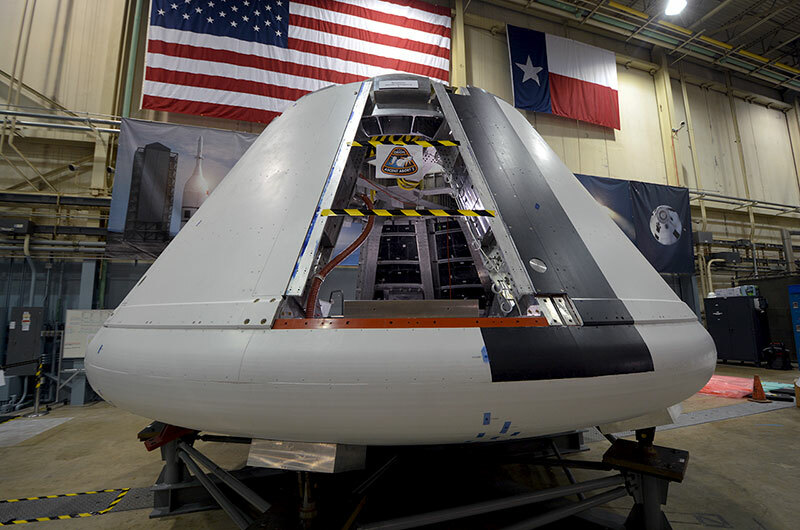 The AA-2 capsule arrived in Houston in March from the Langley Research Center in Virginia, where it was built to be the same shape and mass as the space-bound Orion. Over the next few months, engineers at Johnson will outfit the interior of the AA-2 vehicle with its flight computers, batteries, some 200 sensors and more than 11 miles (18 km) of wiring. This summer, the navigation, communication and control systems will be powered on for tests before the capsule is shipped to Glenn Research Center's Plum Brook Station in Ohio for a month of acoustic chamber trials. The AA-2 capsule will then return to Johnson to be outfitted with a separation ring prior to heading to Kennedy Space Center for integration with the LAS and booster ahead of its launch.